← Alice’s 1 Year Photos. We spent this weekend making a new playroom for the kids. But it’s not done yet, and I want to be all dramatic when I show you the end result so you think it was done in a day and not over the course of weeks. I already love it, though. 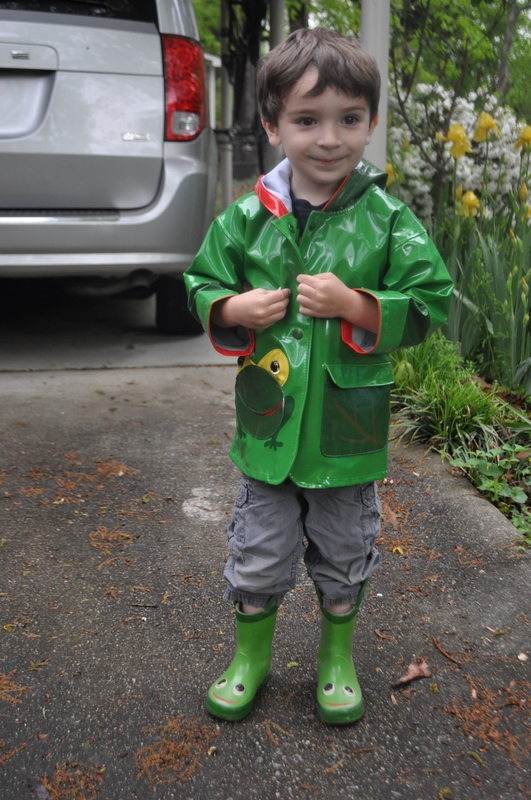 Well, Friday it rained and Tom was thrilled and wanted SO BADLY to splash in puddles. 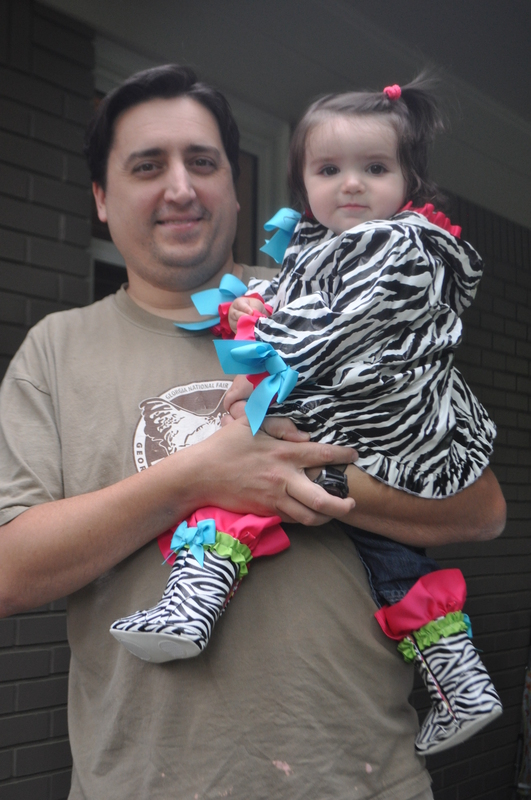 I put him in his rain gear, and for the first time we put Alice in her rain gear (a gift from my mom). 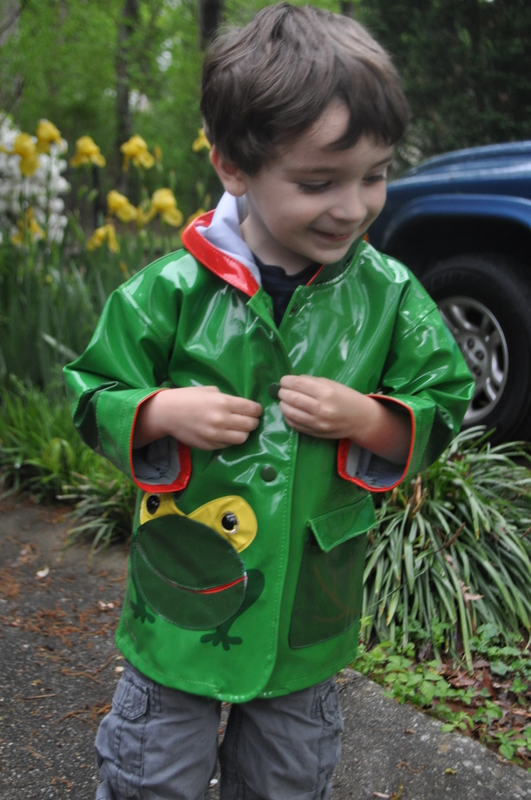 Kids are super cute in rain gear. See?! Adorable. Both of them. Although Kev needs to work on his rain gear, because Alice is showing him up in a major way. He is so excited to finally be able to go outside to splash. Officially the cutest boy in the world. He jumped and splashed until his boots filled with water and his pants were completely soaked. We were down the street where the big puddles are. After about 15 minutes he told me he needed to go back home. Usually I have to drag him away or promise him ice cream. “Why do you want to go,” I asked. 3 Responses to Bits: Rainy Friday Weekend. So adorable. Love the boots and raincoats! So…my guess is the office room will be the playroom!!! Can’t wait to see it! Love the rain outfit on Alice!! Yes!! That’s exactly it. I just want to add some of the storage stuff I have my eye on before finishing it up. 🙂 But the kids already like it. Why didn’t I think of that before?